It was January and Oregon’s Sandy River below Marmot Dam was loaded with winter steelhead. The location was called the Slaughter Hole so named because steelhead would stack up below the ladder waiting to continue their spawning run. 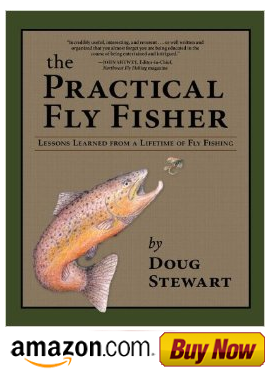 It was almost like fishing in a hatchery and it led to an experience that I never forgot. When we reached the river, fishing was still good, but many had moved up river closer to the dam. After several hours I told Jim that I had to get back to my shop, but as usual he was trying to catch one more fish. Rather than watch, I decided to make a few more casts for good luck and it paid off. 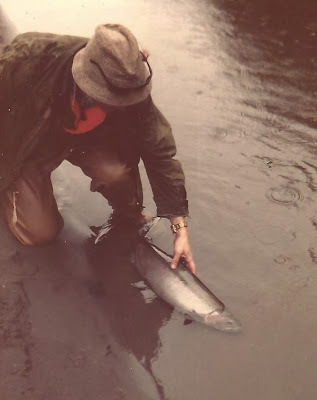 I hooked one about ten pounds, but it lacked the usual explosive power that steelhead are noted for. After only a few minutes it was played out, and when I landed it I understood why. There were two flies hooked in its jaw--the fly I was using and the one I left in its mouth two days before.